Just one year after the American Heart Association (AHA) and American Medical Association (AMA) launched Target: BP™, more than 400 medical practices, providers and health systems are now participating in the joint national initiative aimed at reducing the number of American adults who die from heart attacks and strokes every year. One in three American adults — approximately 80 million people — has high blood pressure, and that number is steadily climbing, despite the fact that high blood pressure can be treated easily using evidence-based guidelines. There is a substantial body of evidence showing that high blood pressure is a contributing factor to many major health conditions, including heart attack, heart failure, stroke, kidney failure and other disease consequences. Collectively these Target: BP participants, will work together with the AHA and AMA to significantly improve the nation’s current national blood pressure control rate of 54 percent. Specifically, participants will work to achieve high levels of control using the latest AHA guidelines on high blood pressure, aiming for readings of lower than 140/90 mm Hg for each patient—with goals adjusted as new data drives future guideline revisions. The AHA and AMA will provide participants with tools and resources, including the AHA/ACC/CDC Hypertension Treatment Algorithm, to help achieve their goals. Beginning in 2017, AHA and AMA will also recognize those who attain high levels of blood pressure control as part of the Target: BP™ Recognition Program. 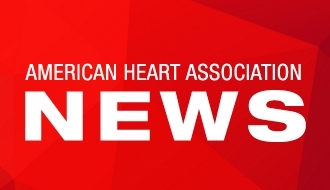 During their annual Scientific Sessions conference, the AHA is recognizing 68 healthcare providers, groups and clinics as early adopters to the program. Although Target: BP is the first major collaborative initiative between the AHA and AMA, both organizations have established practice-based and community-based initiatives and online tools that are already helping physicians and patients improve blood pressure control. This joint initiative will further enhance high blood pressure awareness, understanding and management. Health leaders across the country have noted that improving blood pressure control will take a concerted, focused and ongoing effort by many. Target: BP complements and expands on existing work, including the Centers for Disease Control and Prevention’s Million Hearts® initiative aimed at preventing one million heart attacks and strokes by 2017. To learn more about Target: BP and join this innovative movement to save lives, visit targetbp.org.